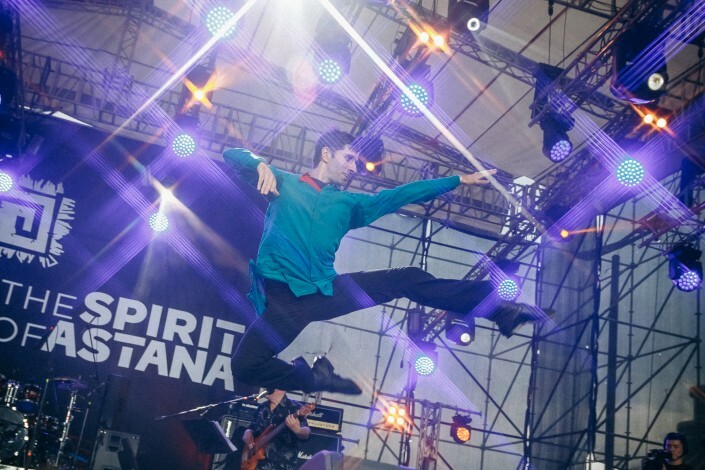 Organizers of the international festival of music and dance The Spirit of Dance 2018 have announced the first participants of the Show, which will take place in Astana on September 14, Tengrinews.kz reports. Georgian dance culture will be represented by dance group Gzeba Georgian Dance, the vocal trio "Simi", as well as DJ G@G and musician Giga Nibladze who will play a back-to-back DJ set. The grandiose dance festival celebrating the 20th anniversary of Astana will begin at the Central Concert Hall "Kazakhstan" at 19.00. The organizers of the dance show are the Ministry of Culture and Sports of the Republic of Kazakhstan together with The Spirit of Tengri. The Spirit of Dance is the fourth festival of the project team and the first, in which a greater emphasis is placed on the dance part. The stage of the festival will meet musicians, dancers and DJs from 7 countries of the world. The tickets for the unique show can be purchased online at ticketon.kz, as well as at the box offices of the "Kazakhstan" concert hall . The Georgian dance theater Gzeba has existed since 2006. The founder and the head choreographer of the group is a famous dancer and musician of the Georgian ethno-world group GeoTRAIN Alexander Chumburidze. With GeoTRAIN, the artist has several times performed at The Spirit of Tengri festivals. 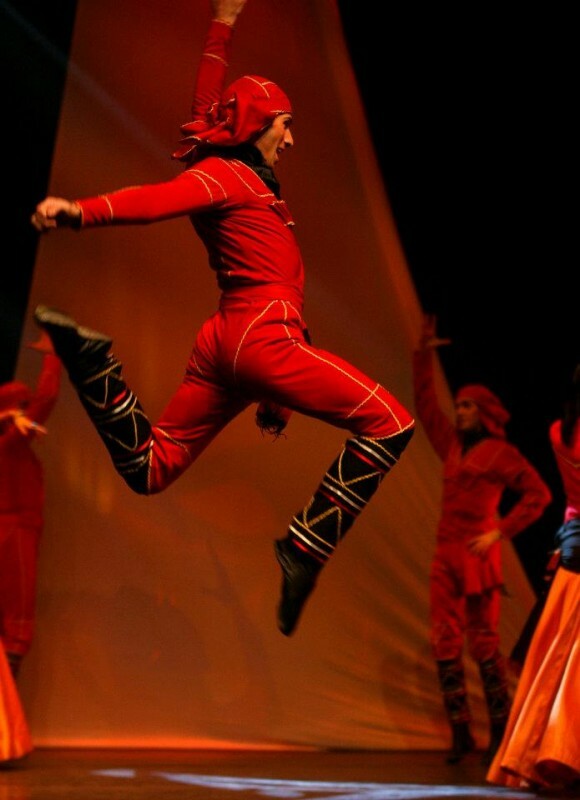 When creating dance shows, the artist is inspired by the richest original culture and history of Georgian people. The Gzeba project has repeatedly participated in international festivals and competitions. The band won the Grand Prix at the "Morning Star" International Festival in Bulgaria in 2013. In 2016, a quintet of professional dancers joined the Gzeba. The goal of the group is to make Georgian dances more popular with a wider audience. "Hello Kazakhstan, I'm Alexander Chumburidze, the choreographer of the Georgian dance theater Gzeba. Gzeba in Georgian means "light the fire" because Georgian dances, like Kazakh ones, are very emotional. We want to light the fire of passion on the stage. It is a great honor for us to take part in The Spirit of Dance Festival. We will perform not only Georgian dances: we will exchange music with other participants and perform dances from the Georgian point of view and with Georgian personality," the founder of the dance group Gzeba Alex Chumburidze said in his video message. "The Festival of this kind has no analogues in the world. We are very interested in how the representatives of another ethnic culture will perform Georgian dances. 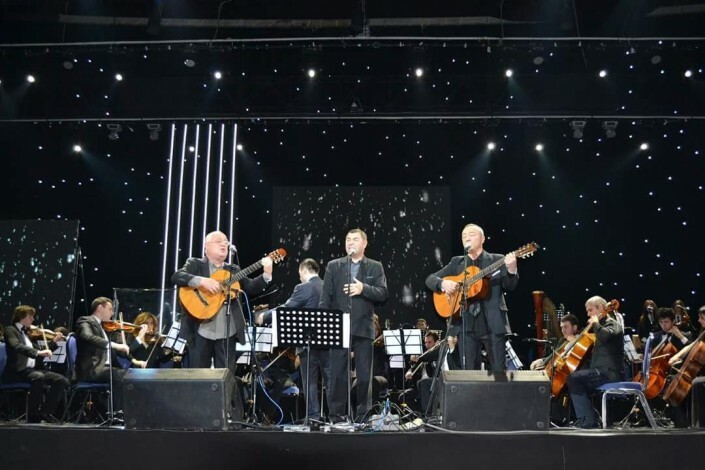 We are looking forward to meeting with the wonderful Kazakhstani audience on September 14. I personally expect great vibe from you, which gives us an incentive to deliver at 100 percent. We are looking forward to everyone! " the choreographer summed up. Another representative from Georgia is the vocal trio "Simi", which this year celebrates its 30th anniversary. The group members are Zap Vepkhvadze, Zurab Tskitishvili and Kakha Aslanishvili. They have participated in many festivals around the world, only in France they have had more than 500 concerts. Together with the dancers and singers, the famous Georgian DJ G@G (Gagi Bregvadze) will come up on the stage of the main concert hall of the capital. The 26-year-old has been into music since his early childhood, 14 years ago he became fond of electronic music. The formation of his music taste was influenced by such musicians as Pink Floyd, Rammstein, Led Zeppelin, Marc Houle, Kraftwerk and others. 7 years ago he started to create electronic music on his own. 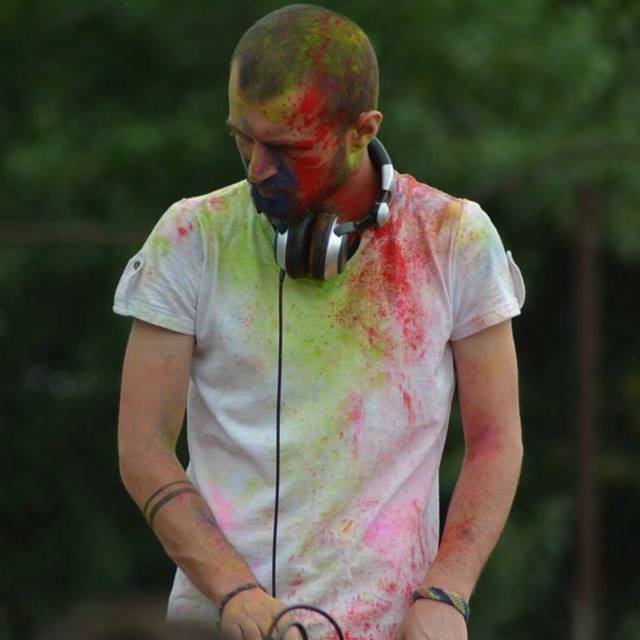 With DJ sets, he has been to numerous festivals and clubs such as Mtkvarze, Cafe gallery, Infinitum bar, Color Fest, Trophy expedition, Roof Sundayz, Frash Sundayz. Last year he took part in a DJ-battle and won the first prize out of 25 musicians. Also, the Georgian musician Giga Nibladze will come to the Festival of music and dance in Astana. He began studying music at the age of 9 having mastered such Georgian folk instruments as doli, salamuri, chiboni and panduri. 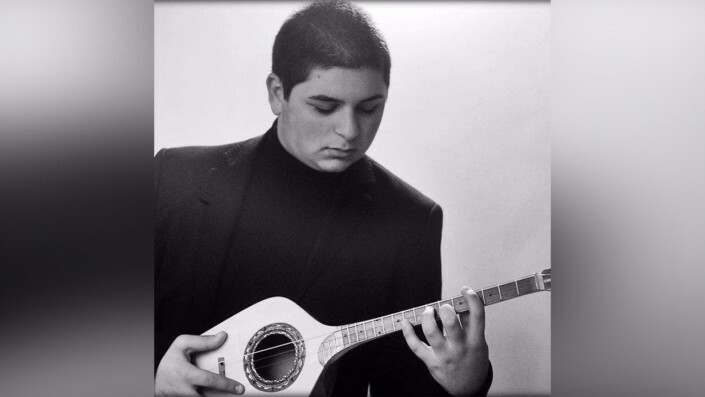 Earlier, he played in the state orchestra "Abkhazia", ​​and now he is pursuing a solo career. One of his latest hobbies is jazz. He also learns to play the guitar. Recall that the multimedia show The Spirit of Dance is conceived as an incredible performance with the participation of world stars in the music and dance scene. It will run in the format of "seamless show", which means non-stop. The audience should expect for many surprises: a unique three-level stage, a light show, multimedia accompaniment and live sound. The main participants at the Festival of music and dance The Spirit of Dance will be small dance groups from around the world. Their task is to show the modern adaptation of their national dance. the dances will be intertwined among peoples: the Georgian dance will flow into Kazakh, and the Kazakh dance will turn into Indian dance. And all of them will be performed accompanied by completely different music: for example, the Irish step will combine with Uzbek melodies. The organizers specially chose very recognizable national dance to show how they can be presented in a new way. One piece from each country will last 20-30 minutes, between the pieces the audience will see solo performances of world-class ethno artists. The guests of the Festival and the viewers of the online broadcast are waiting for an unusual symbiosis of different cultures, which they have never seen before. The Spirit of Tengri is a multicultural and one of the world's largest projects in the genre of contemporary ethnic music, with a status of a national cultural brand. To date, musicians from 70 countries and regions of the world have been on its stage. Over these years, more than 120 thousand Kazakhstanis and guests of the country have been its visitors. The Spirit of Tengri festivals are bright colorful music shows accompanied by informational art materials and video content. Thus, they are not only entertaining but also educational. Recall that as part of the Spirit of Tengri project, this year Almaty had great success hosting the VI International Festival of Contemporary Ethnic Music The Spirit of Tengri. The event was held with the support of Almaty City Akimat and Tez Tour Kazakhstan. The general partner of the Festival was supermarket chain Magnum Cash & Carry. The series of concerts with the brand of The Spirit of Tengri continued at the International Music Festival of Nomadic Culture Nomad Way 2018 on June 22-24 at the Amphitheater on the Esil river embankment, as well as the International Festival of Contemporary Ethnic Music The Spirit of Astana 2018 held on July 6-8 in the square in front of the Baiterek monument.